Signed, Limited edition print of 750. Published by the Adam collection in 1975. Courtesy of Mr and Mrs Andreas Kalman. Printed by Chorley and Pickersgill. Stamped by the fine art trade guild. Laurence Stephen Lowry began life in Rusholme, Manchester, November 1887, the only child of Mr R S Lowry from Ireland and his wife Elizabeth (maiden name; Hobson). He attended a neighborhood school in Victoria Park, but took private classes from William Fitz, before begining his work as a clerk for an agency of chartered accountants in 1904, that would show him the many sights he would later use for his paintings. From 1905-1915 Lowry attended drawing and painting courses at the Municipal College of Artwork (later Manchester College of Art, now a part of Manchester Metropolitan University), where Lowry was tutored by the now well known an highly regarded artist, Adolphe Valette. He moved to Pendlebury in Salford together with his parents in 1909, for almost forty years Lowry lived here. Throughout this time Lowry attended art classes at Salford School of Art, growing a strange, almost morbid curiosity for the city and industrial landscape. Lowry was fascinated by its people, who toiled night and day against incredible odds, to make a living for themselves, working long hours in terrible conditions, with little to show financially. Large families living in small terrace houses with barely sufficient food, and the Fever Van never far away. Lowry exhibited with the Manchester Academy of Fine Arts from 1919, as well as showing paintings in the Paris Salon. By the early 1930s Lowry was exhibiting at the 'Royal Academy', London, and was awarded an honorary Master of Art at Manchester College in 1945, and Doctor of Letters in 1961. In 1962 he was elected to the Royal Academy, and given freedom of the City of Salford in 1965. He lived in Mottram till he died in 1976; the people of Manchester showed an unprecedented homage to this great master of art. L.S. 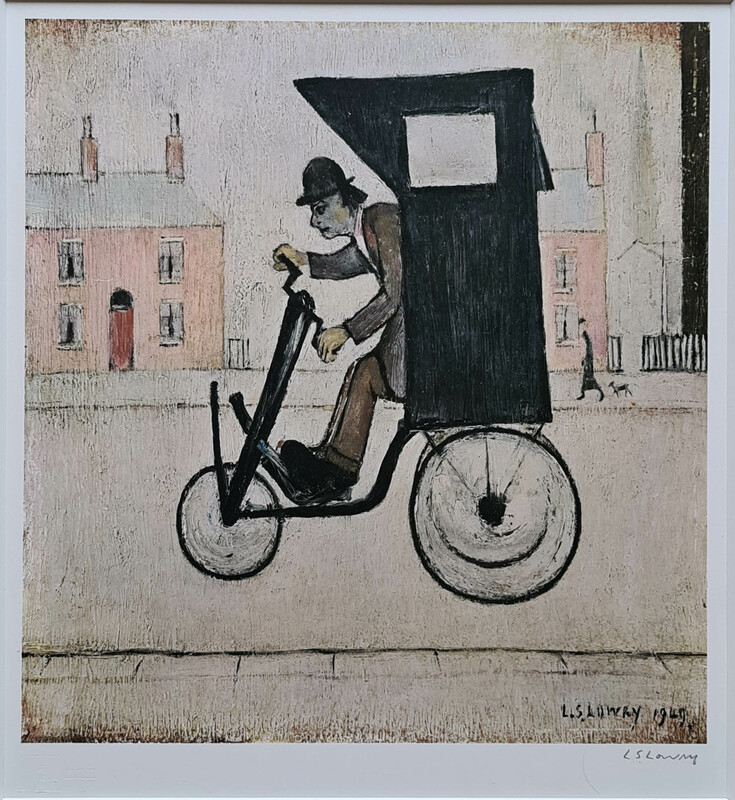 Lowry is without doubt, one of the most celebrated of British artists and his unique contribution to recording the interval, tradition and panorama of commercial Salford and Manchester is without parallel. His work is a most distinctive and comprehensive report of the pre and post World War Two northern industrial towns. Many people affiliate Lowry with "matchstick figures", but he's recognized to have produced over 10,000 works, ranging from completed oil paintings to swiftly drawn sketches. The local industrial scenes were his most frequent topics but he additionally painted seascapes and portraits. Lowry was an amazing humorist and had intense insight into human nature, characterising it without sentiment. Later in his life Lowry worked on producing paintings of figures either singly or collectively, invariably in opposition to a white background. Throughout his lifetime, he also produced thousands of pencil drawings, these have become very collectable and the most detailed ones are very professionally drawn. Lowry was not registered with any doctor; in 1976 he died at hospital from pneumonia. He had little time for the financial sharks that would 'hound' him on a daily basis, and the galleries hoping to inherit a number of works in Lowry's will, they kept in close contact with him throughout his old age, only to learn that Lowry had left all his paintings to a lady, with the same surname (Carol Ann), who had written him a letter when she was a young girl, asking how she may learn to be an artist. £1.9 million to the Manchester based 'Professional Footballers Association'. Manchester's newly built museum gallery, The Centre in Salford Quays, now holds a major collection of his work. There is to be a major exhibition of paintings and drawings by L.S Lowry in The Tate Gallery 2013.
signed hundreds of titles, and each edition can sometimes be in excess of a thousand. only the agreed number of signed prints were produced. Needless to say that after 50 or so years , from an edition of 850, there are a mere fraction of the edition that still exists in good condition. fading, due to the printers who have not used the lightfast inks and acid free paper. diplays over 100 limited edition prints, personally signed by Mr L.S. Lowry, undoubtedly the largest collection in the UK. 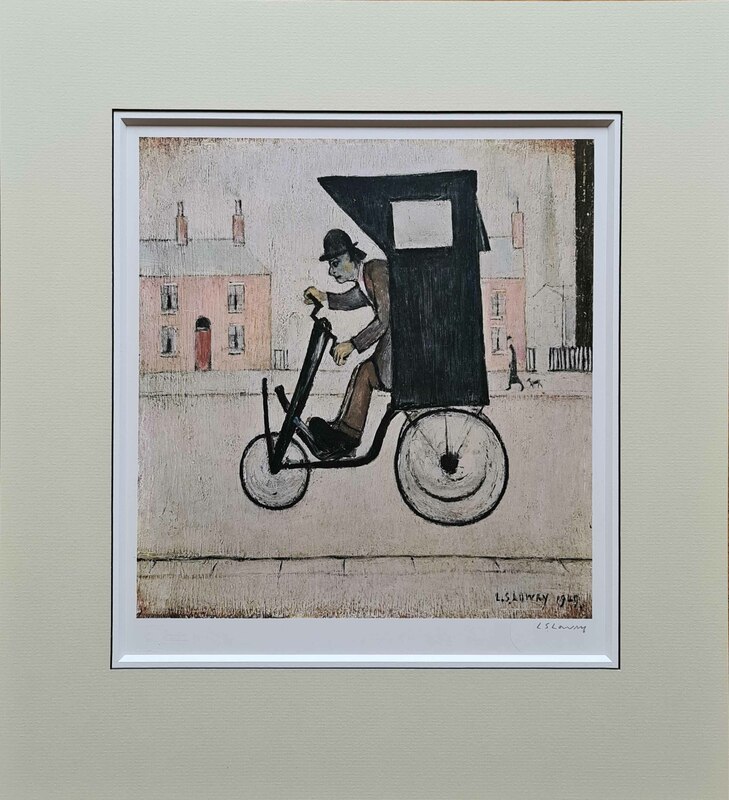 Paintings, drawings and signed prints by L S Lowry have become some of the most sought after art work in the country today. remarkable accuracy and with direct, honest and a truthful vision, the spirit of a moment in time that has long since disapperared. and have a greater insight to this strange and almost toturous way of life. We can see from a few examples how the price of L.S. Lowry paintings and signed prints have dramatically increased over the years.
" A painting recently sold for ten times the original price"
this work made a large return for the vendor when purchased in 1987 for £22,000. and the returns were far in excess of both the FTSE 100 and the property market. The highest price for one painting was £1.9 million when 'Going To The Match' was sold in 1999. Later in 2007, the sale of the Lowry's painting "Daisy Nook Fair" achieved £3.8m. May, 2011 "The Football Match" painting (not 'Going to the match') by Lowry was sold for £5,641,250.